The individuals we focus on for this series generally fall into one of two categories: chosen ones as it were, who undoubtedly put it in a lot of effort but quickly take the industry and fans by storm, but also those who gradually begin to captivate people as they cultivate their skills with more modest work over a longer period of time. Once a new star is uncovered everyone rushes to shower them with praise, with us gladly at the front, but we believe it’s equally important to give credit to rising figures without an explosive beginning at a young age, since that makes them even more likely to be overlooked by the community at large. And that’s the case when it comes to Naoya Ando – essentially unknown among western fans, but quickly becoming a darling to Japanese viewers who happen to be fans of various kids’ anime. Works aimed at that demographic being overlooked by critical lenses is a widespread issue, but let’s leave that discussion for another day and focus on the directorial approach that has earned him this post. 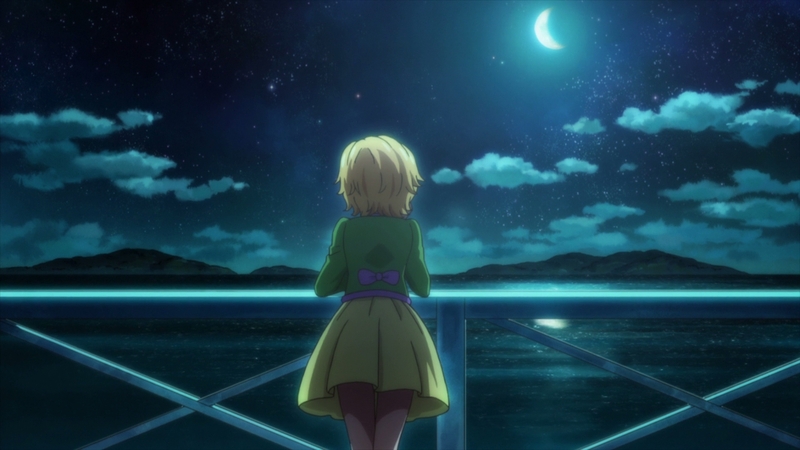 Ando’s debut was as standard as it gets: he joined studio Sunrise as a production assistant in 2013 at the age of 23, receiving his first credit on episode 2 of Love Live!‘s first season. 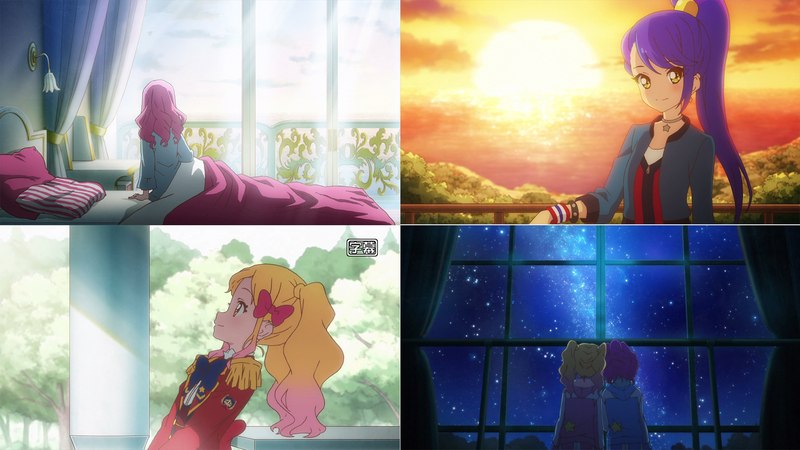 His progression after that picked up the pace, as under the wing of director Kou Matsuo he wasn’t only allowed to reprise that role for Valvrave the Liberator, but also to receive his first chances to storyboard and direct some bits and pieces, even handling the finale of the series alongside his mentor. Now this might seem like a bit of a plain achievement compared to artists shattering records like some of the youngsters we’ve previously covered, but earning this much trust so fast is still an impressive feat in its own right. This trend continued with his return to Love Live! 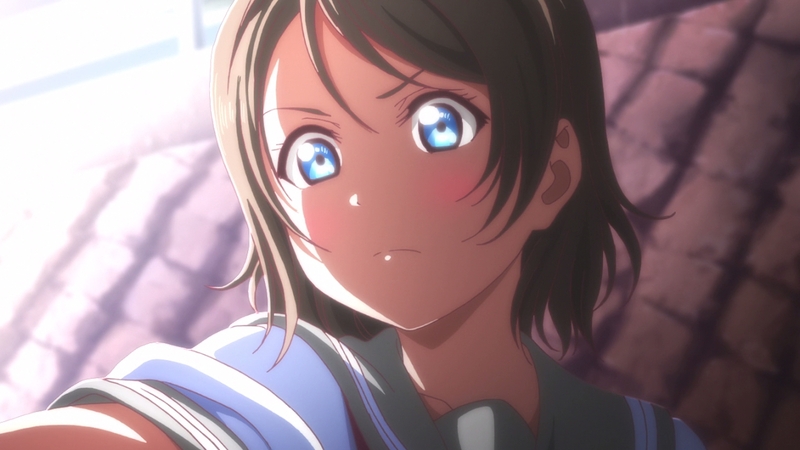 for its second season, which became a turning point in his career as series director Takahiko Kyougoku took both him and Ryo Ando as new pupils, allowing them to assist with his directorial duties for episode 9; considering that Love Live! 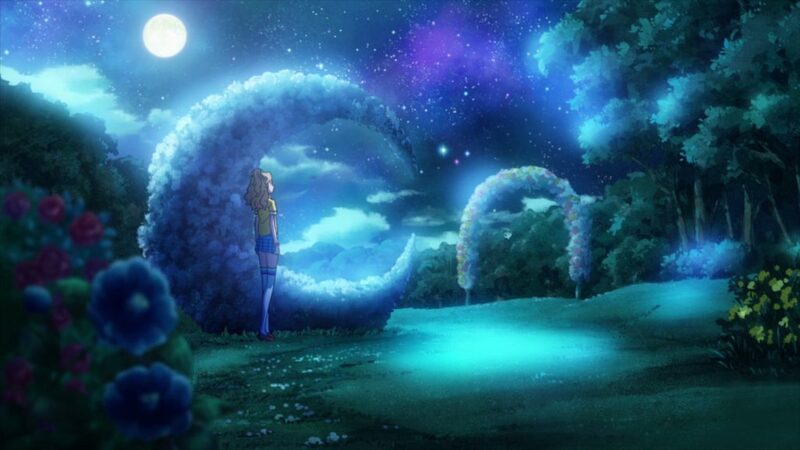 was also the training grounds for Ayako Kouno, who’s currently amazing many viewers as After the Rain‘s assistant director, and that just last year Kyougoku managed to train even more exceptional up-and-coming creators on Land of the Lustrous, we’ve really got to give him credit as a judge of talent and instructor. And so, after absorbing as much from Kyougoku as he could, Ando graduated from the production assistant role by the end of the series. 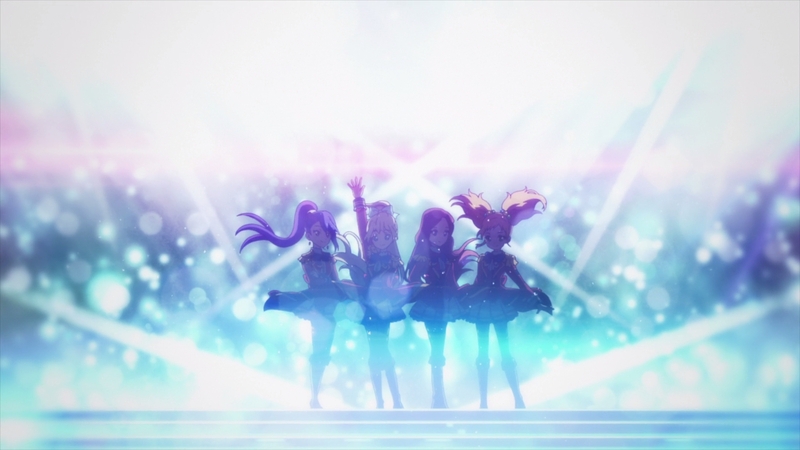 As a fully fledged director he still had time to contribute to its film by directing one of its performances, and even got given full control of the mini-anime piece shown during the encore segment of μ’s’ 4th anniversary live, before heading out to do various minor tasks as director. 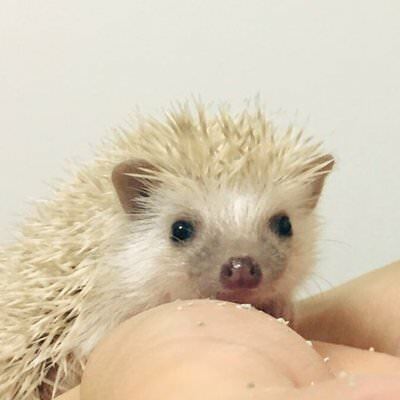 The project that would allow him to level up further was yet to come. 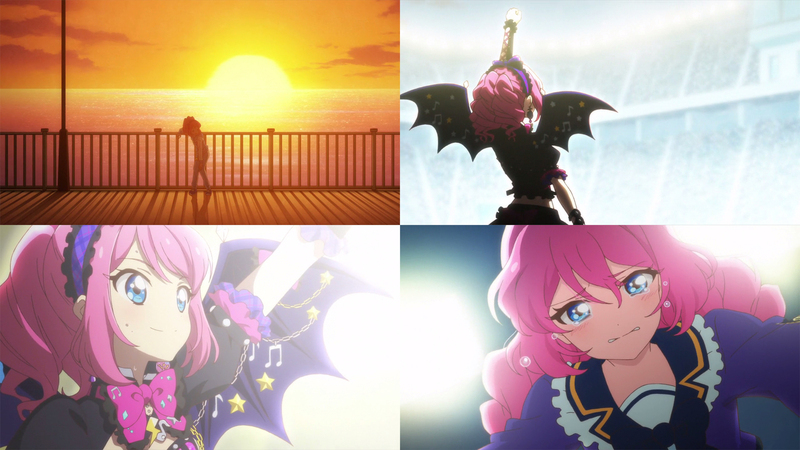 The next big change in his career – again not drastic but definitely meaningful – came as he joined the staff rotation for Aikatsu! in 2015. That’s where he began to experiment and develop his own style, as he timidly planted the seeds about his interest in lighting techniques. He gradually took this further, getting to the point of using it as a way to set the tone for certain scenes, with such a distinct approach that made it clear how precise his instructions for the photography team were in what amounted to brief highlights. Unfortunately, and despite managing to sneak some striking shots in, it still took him some more episodes to put together a cohesive execution of that vision he showcased. 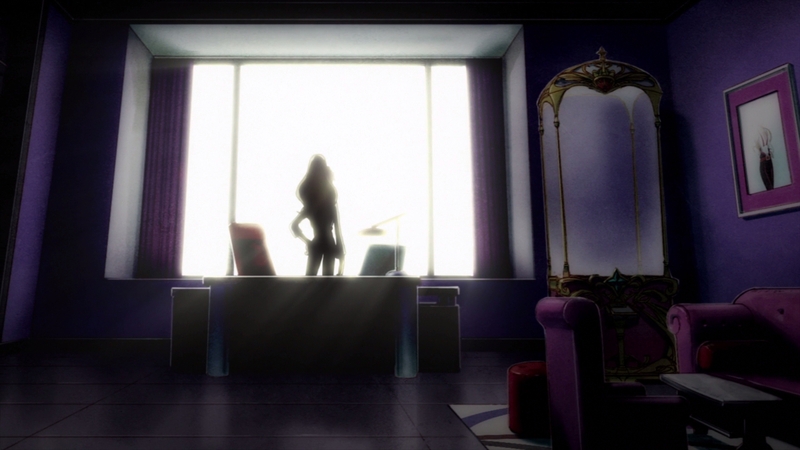 If #157 was just his way of getting used to handling both storyboard and episode director duties, then #169 became his statement for the future, showing off an innate sense when it comes to framing and the usage of non-natural light to emphasize the radiance of both a stage and the person performing on it, not to mention further development in his pursuits to have the composite meet his exact desires. 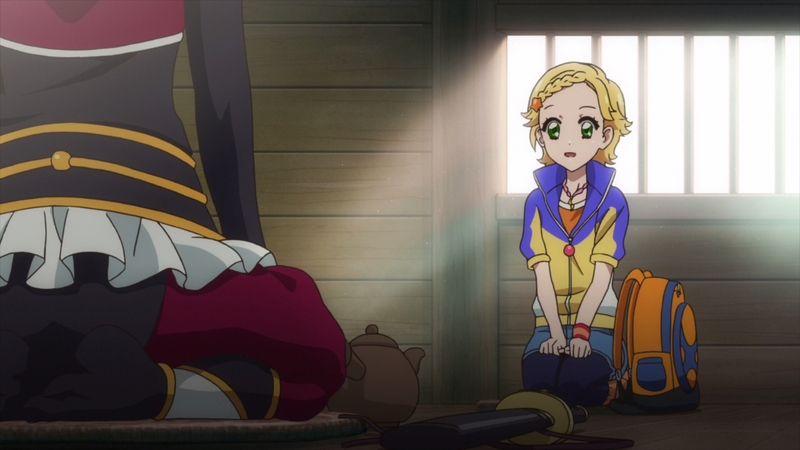 As an aside, further indication of Aikatsu! acting as his experimenting grounds comes in the form of the Gate adaptation, wherein he came to his mentor Kyougoku’s aid for a few episodes but performed much blander work you wouldn’t be able to tell came from the same person – that’s how important having the right canvas to express yourself can be, especially early on! In spite of that uneven output there’s no doubt that his skills were noticed by his peers, judging by the decision to have him work alongside series director Ryuichi Kimura for the series’ penultimate episode, which would also turn out to be the most important of the Akari Generation arc. Preoccupied as he was with living up to the narrative demands of the occasion, he still went out of his way to carefully depict details like light being treated as an element with its own progression as opposed to a handy asset that can be flipped on and off with no process in-between. Directors with a strong personality can obsess over amusing minutia, especially when it relates to their quirks! 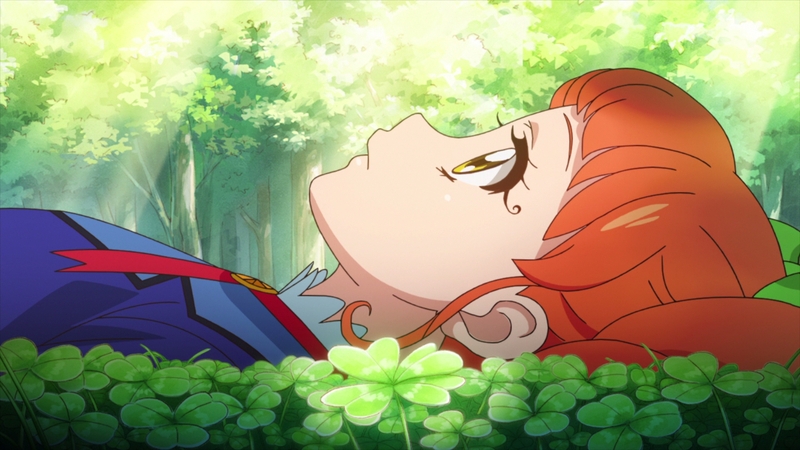 With the end of Aikatsu! 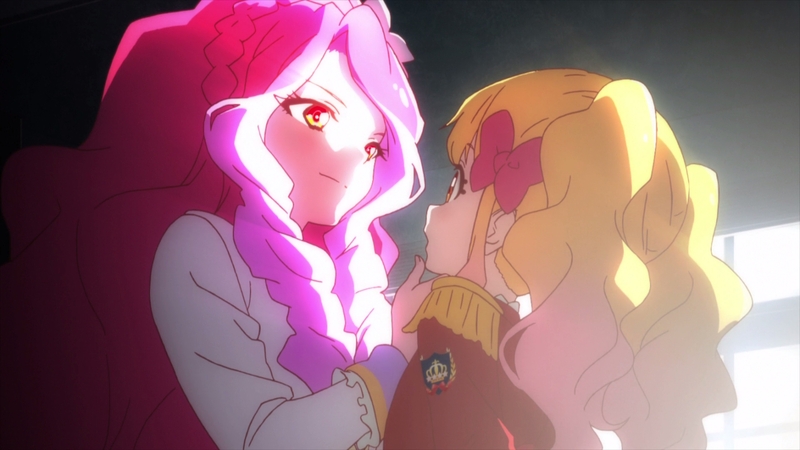 came the rise Aikatsu Stars! (Aistars from here on), but also that of Ando’s prominence within the production. 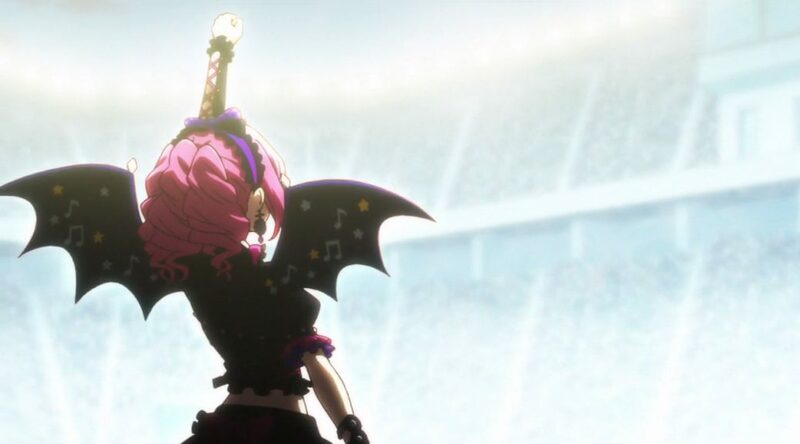 He quickly teamed with new series director Teruo Sato on the first opening, taking a well-crafted sequence and enhancing it further with the skills he had built up, all while incorporating some new tricks into the mix. Not losing your sense of self is important, but so is finding new means to express your voice. And so more active camerawork began blending together with shifting lighting, storyboards took on a new creative touch, and most importantly, his taste for framing and staging started to play a much more significant role within the context of character work; I believe there’s inherent value in attractive visual idiosyncrasies within animation, but I doubt anyone would argue against the idea that they can have a much more powerful effect when married to compelling narrative and thematic efforts. Seeing Ando shift from a director with eye-catching quirks to someone using that repertoire in a very deliberate way to boost the impact of character moments was fulfilling as a fan and as someone with an interest in anime creators. 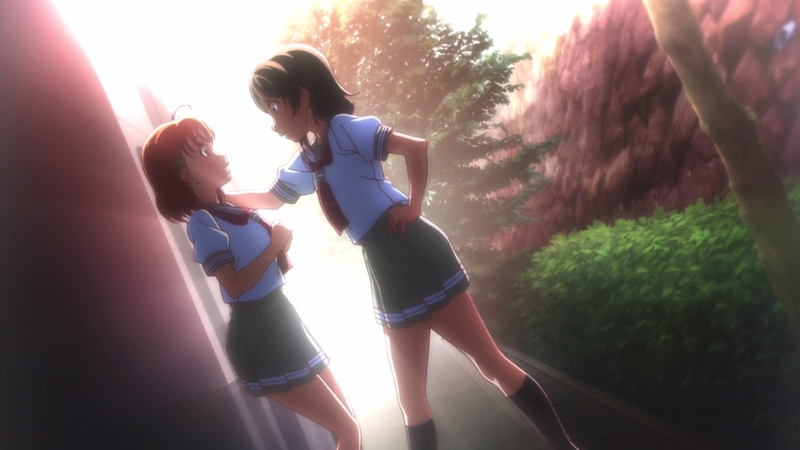 Having reached that stage of relative directorial maturity, it’s no surprise that his return to an often visually sterile franchise like Love Live! Sunshine wasn’t enough to restrain him, as he succeeded in leaving his mark on one of the show’s closing episodes. Seeing how we make an effort to get across the message that we shouldn’t simply characterise creators as the sum of their quirks, Ando’s evolution in this regard is quite interesting. 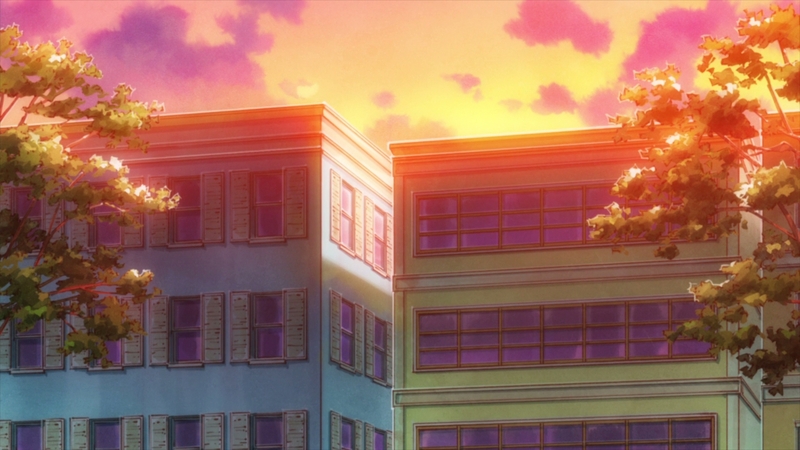 If he first moved up from using beautiful imagery to using it to enhance individual scenes, the next step had to be creating whole episodes where that was the norm rather than highlights. And that more cohesive experience is what he was able to deliver throughout Aistars’ second season. He swept in right off the bat to take full charge of its very first episode, using the introduction of Erza and Venus Ark as a platform to put the culmination of his efforts on full display. 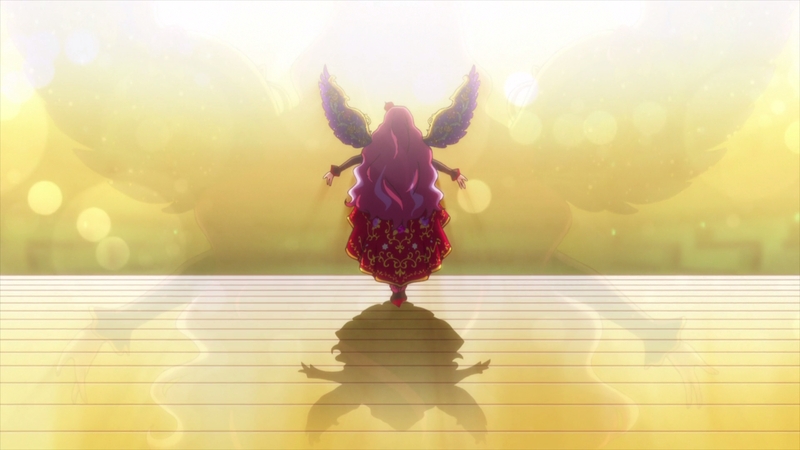 The overwhelming presence of this new rival idol and her academy were a theme throughout the episode, one that could have remained purely as a narrative detail if it weren’t for Ando’s strong vision. A vision that went on to carry the season’s most crucial episodes; from the struggles of Rola to overcome a seemingly invincible Erza (his two favourite characters, incidentally) to Erza’s inevitable defeat at the hands of our protagonist and face turn during the events that follow, all of the tools Ando added to his arsenal were key in his emotionally loaded climax. The closure of an overarching narrative thread also felt like the culmination of the growth of the main creative mind behind it, which is perfect for someone who felt the personal responsibility to wrap up what he’d started. There’s no denying that his episodes would remain impressive even without that side to it, but the work of someone who pours their soul into a project to this degree is bound to end up feeling more genuine and evoking an emotional response from the audience. This ability to resonate with viewers has been noticed and put into test with fairly tricky tasks, like directing Mentholatum’s short anime about family towards the end of last year, which perfectly captures that bond under 2 minutes of runtime. His attention to life-like lighting first started like a curiosity, but it’s now just one of his many assets to root his work into reality – which doesn’t mean restricting it to realism – in a way that makes it relatable, almost tangible. If you’ve yet to experience this work and want to understand exactly what makes him an interesting up-and-coming figure, that short film serves as a decent summary. 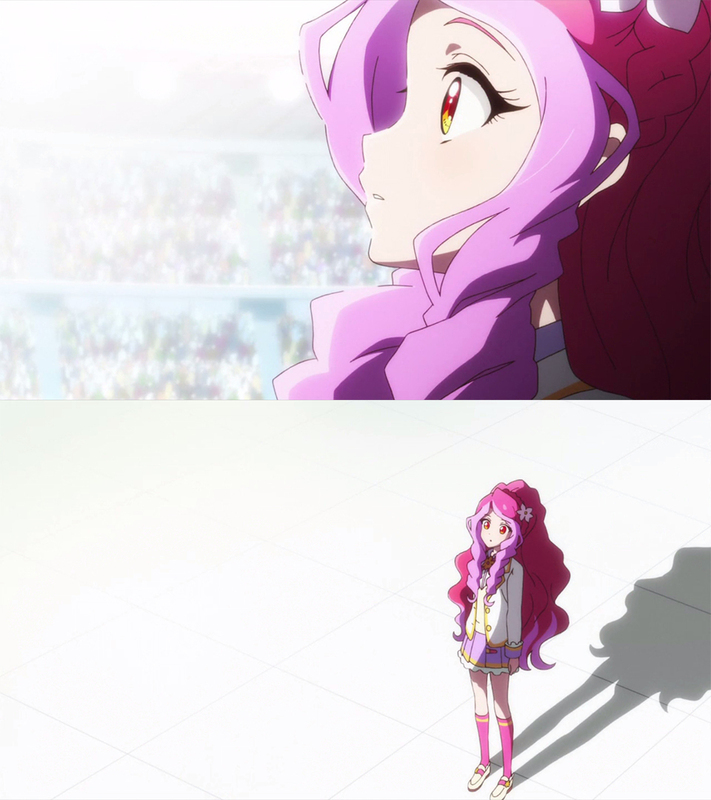 And truth to be told, Aikatsu! isn’t the only franchise where he left his mark. 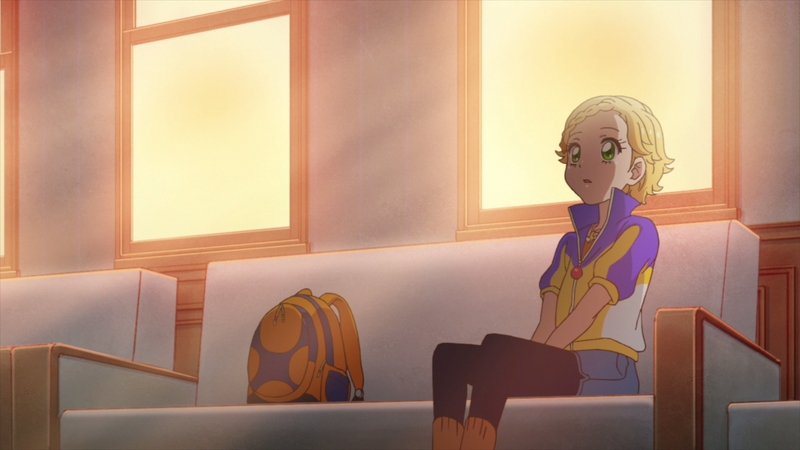 Winding the clock back a bit, we can see that he also became a prominent figure in the Pripara series through its various performances. 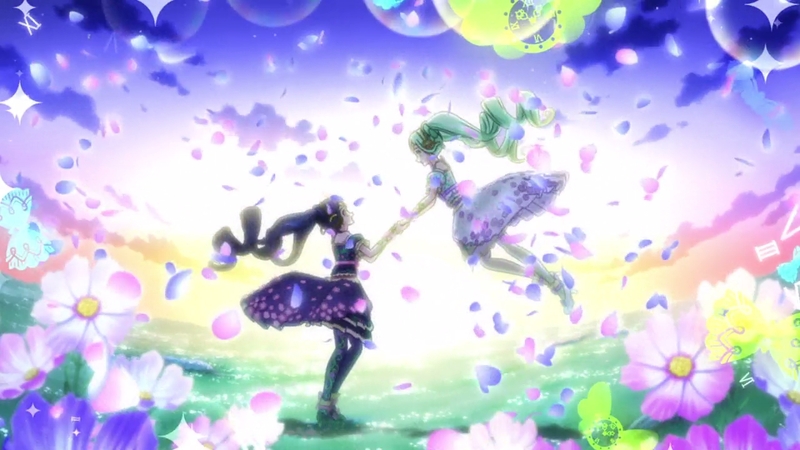 It might just seem like he really likes kids shows – which he absolutely does, make no mistake – but his contributions to the series take on a more touching tone once you realise that Kyougoku served as the main director for the Prism Shows featured within all three seasons of the Pretty Rhythm series, which just so happens to be Pripara‘s predecessor. 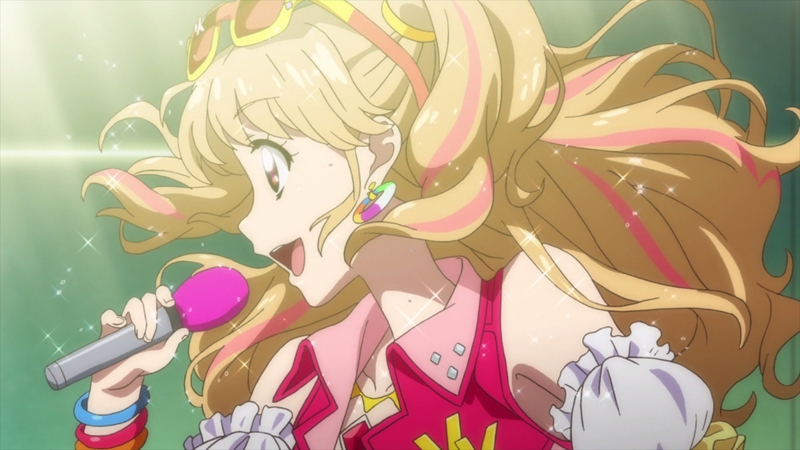 Much like with Aikatsu!, he didn’t start out as a mainstay: his first contribution would come during episode 79, handling the entirety of Meganee’s performance, before becoming a regular towards the end of the show’s run — which of course included an appearance during Kyougoku’s episode 102. 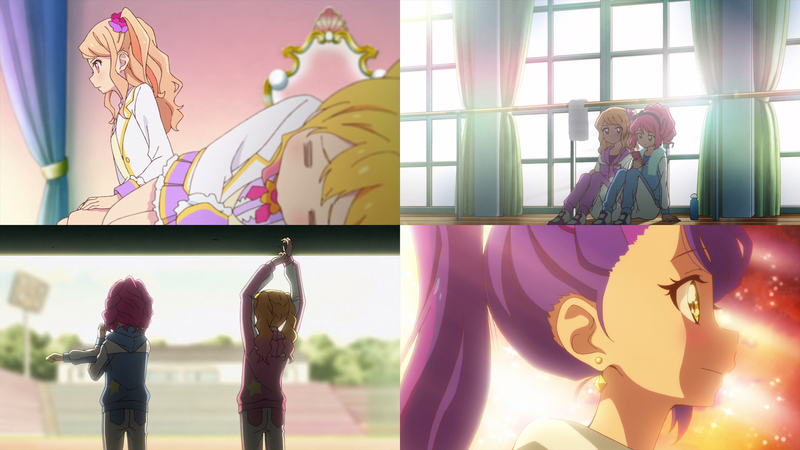 The parallels with Aikatsu! 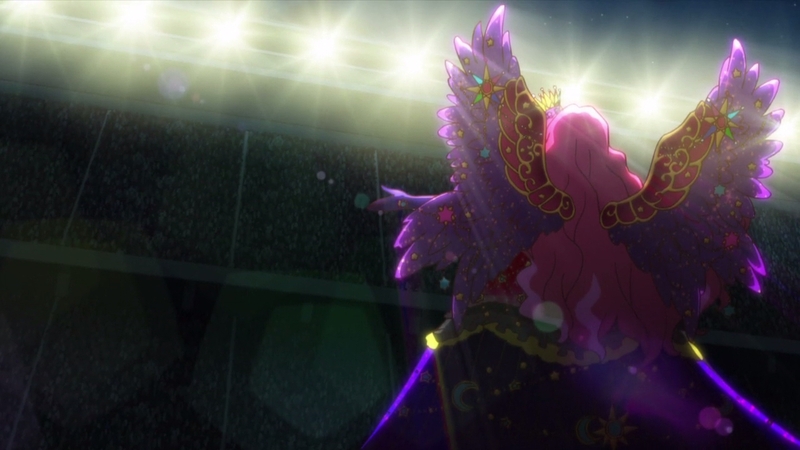 continue, as the soft reboot of Pripara into Idol Time Pripara also saw him being promoted to main director for the show’s performances, making his attempts to follow in his mentor’s footsteps a resounding success. This is admittedly less relevant to his creative approach, but it’s a cute detail we just couldn’t ignore. It’s also worth noting that Ando isn’t the first example of someone who’s matured within the kids’ anime sphere, of course. Toei Animation in particular has been for many decades the space where many idiosyncratic directors who have grown in such series, twisting their limitations into assets of their own. It goes without saying that this includes the likes of Shigeyasu Yamauchi and company, the miraculous Sailor Moon crew, and more recently my personal highlight Rie Matsumoto, whose circumstances are similar in the sense that her contributions to the Precure franchise were largely overlooked once it came time for her to direct Kyousougiga, with fans assuming she had just popped up out of nowhere. Now this isn’t trying to shame all anime viewers into watching series aimed at children (though I’m always willing to argue that the community could do with giving the genuinely joyful shows a try), but at the very least when it comes critical analysis there shouldn’t be titles aimed at certain demographics getting overlooked the way they currently do. 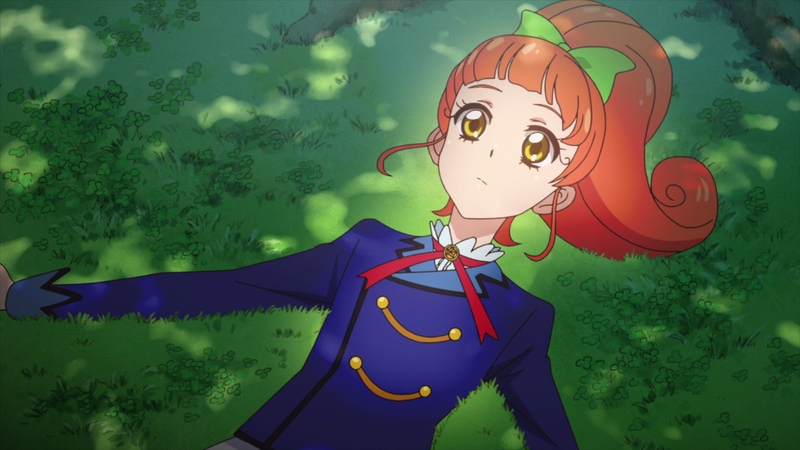 Ando himself is likely to stick around on the upcoming Aikatsu Friends for the time being, but it would disingenuous to ignore everything he’s done so far should he eventually step up and handle his own show in a more visible sphere. 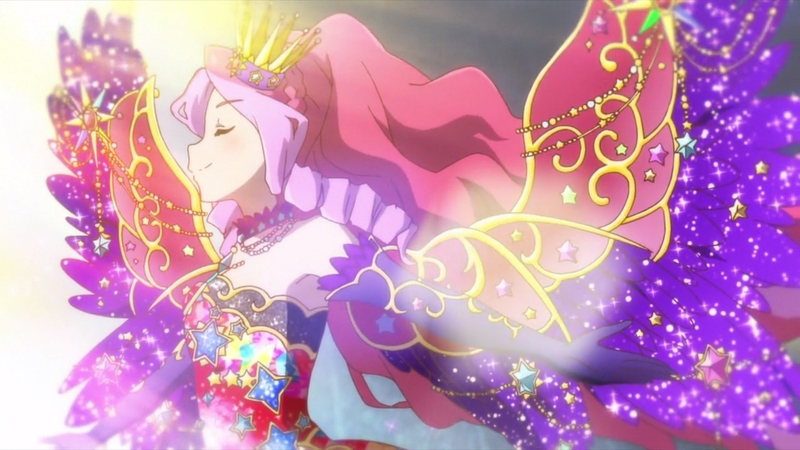 To that effect, everyone should watch Aikatsu!. You won’t regret it. Yes, that was the not-so-secret goal here. I refuse to believe Moritan won’t be rewarded after all the tears he has shed over begging for one.